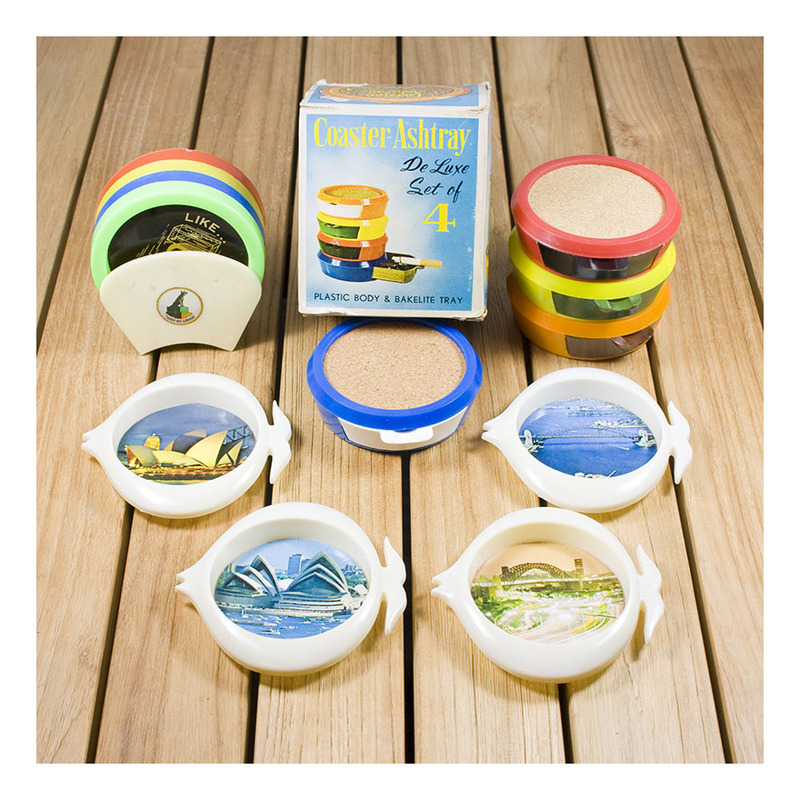 Bakelite coasters with built in ashtray. Four beautiful colours, never been used [phew! am I right?] De Luxe, says so on the box. Lighted cigarette not included.